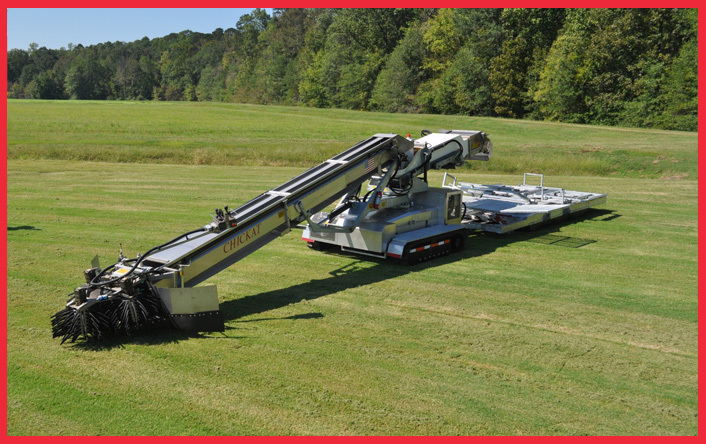 The Chickat is the only mechanical chicken harvester that can stand up to the environment of the US poultry industry. University tested to be as good as or better than hand catching from a physiological basis. The Chickat is the only harvester that has the Seal of Approval by the American Humane Association. The Chickat is the most important step in achieving a hands free harvest. 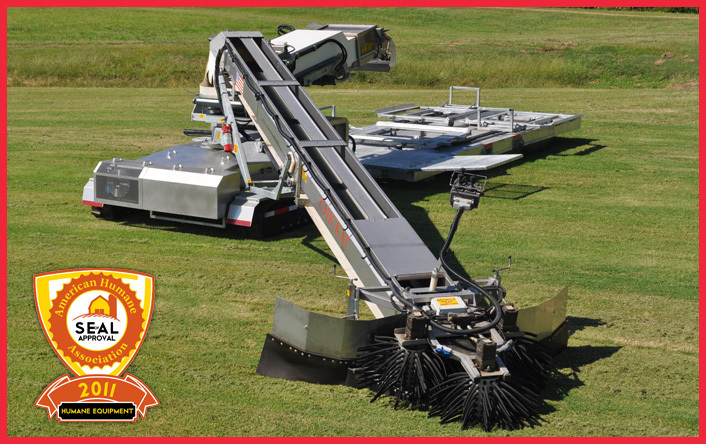 Since its introduction in 1999, the Chickat continues to prove itself as the premiere mechanical harvester in the poultry industry. The Chickat has consistently outperformed the competition and this is reflective in the fact that Chickats outnumber competitive models by almost a 2 to 1 margin in the field. TechnoCatch has never rested in looking for ways to improve the Chickat and its use. Continuing our research in live haul operations is resulting in a significant reduction of product loss at the plant level. A study completed by the Mississippi State University Poultry Science Department showed that the Chickat, when operated correctly, was superior to hand catching from both a physiological and welfare perspective. The Chickat is the only mechanical harvester able to make this claim. A recent survey revealed that Chickat customers ranked themselves from satisfied to highly satisfied with the Chickat and the support services that surround the machine. All respondents stated they would buy a Chickat again. Other information learned from the survey revealed that there are several Chickat with hours in excess of 13,000 and one unit in excess of 20,000 hours! Several Chickats are over five years of age and continue to be double shifted. When taking into consideration the extreme environment the Chickat operates in, RELIABLE and DURABLE would be an understatement! The Chickat is built almost entirely out of stainless steel to comply with the increasing need of cleaning and disinfecting procedures of equipment in the poultry industry. The Chickat is hydraulically powered and equipped with automotive like electrical components to improve performance and reliability of the system. The selection of all components was made after several endurance tests in the field to prove component tolerance to the critical environment of a broiler house. Dust, feathers, humidity, temperatures, and ammonia vapors are no longer a worry for the system.